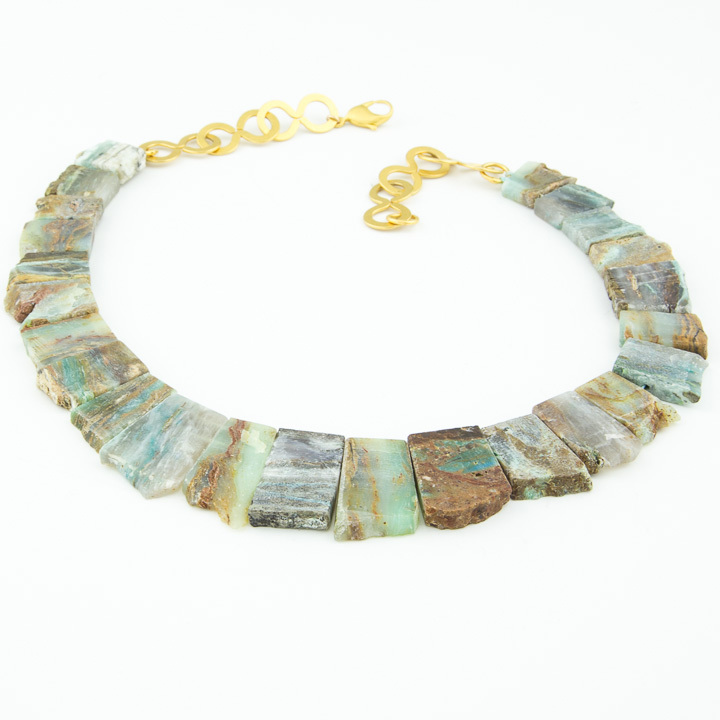 Statement necklace of natural peruvian opal with large gold hammered accent bead on designer chain. 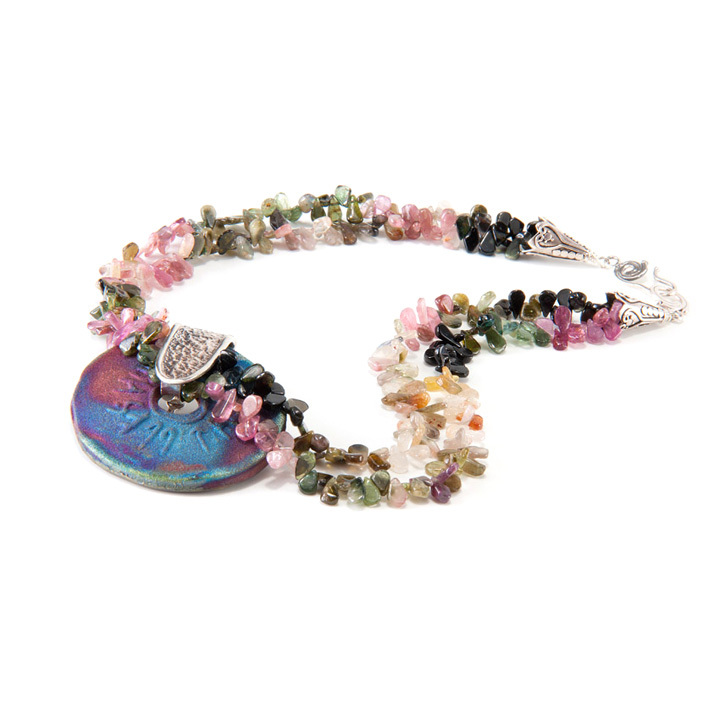 Lovely, double-stranded, multicolored, watermelon tourmaline teardrops with raku donut pendant. The sterling silver bail and cones are beautifully textured and decorated. Necklace measures 17″, pendant diameter is approximately 2″. 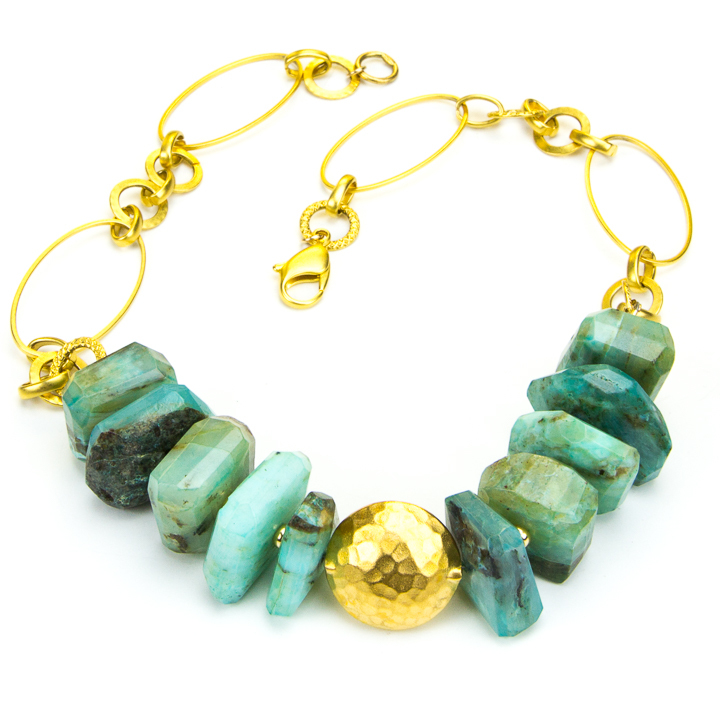 One of a kind necklace of prehinite and gold! 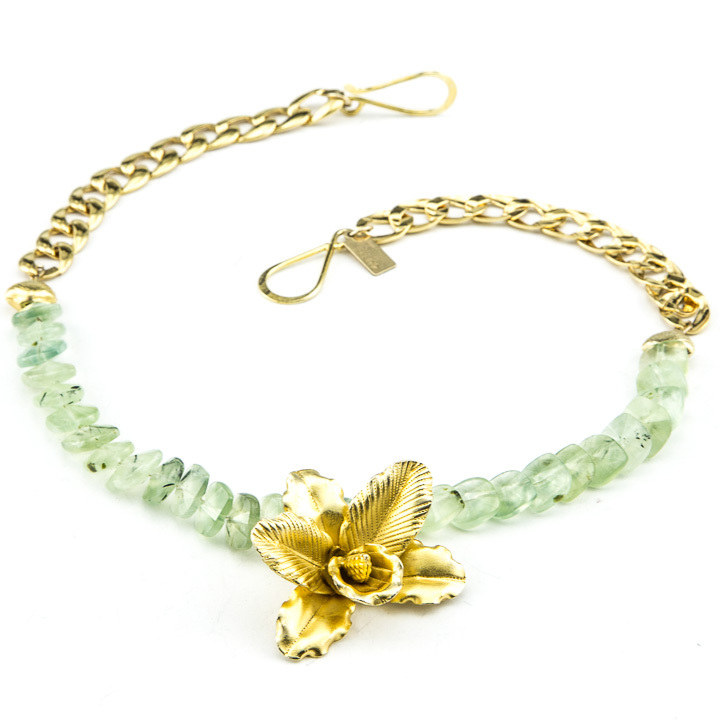 Uniquely faceted, square overlapping prehinite stones are accented with an exquisite gold orchid centerpiece. The gold plated chain beautifully complements the prehinite size and shape. 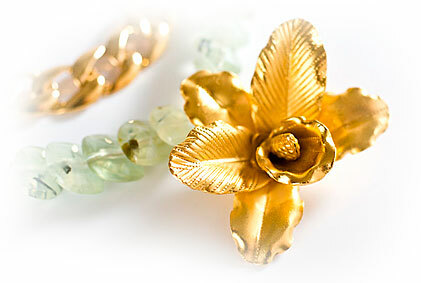 The orchid and hook clasp are 24K gold vermeil. 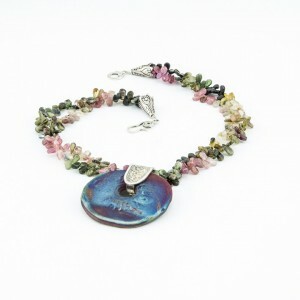 Necklace measures 18″ long, orchid pendant measures 1-1/2″ wide, 1-1/2″ long. 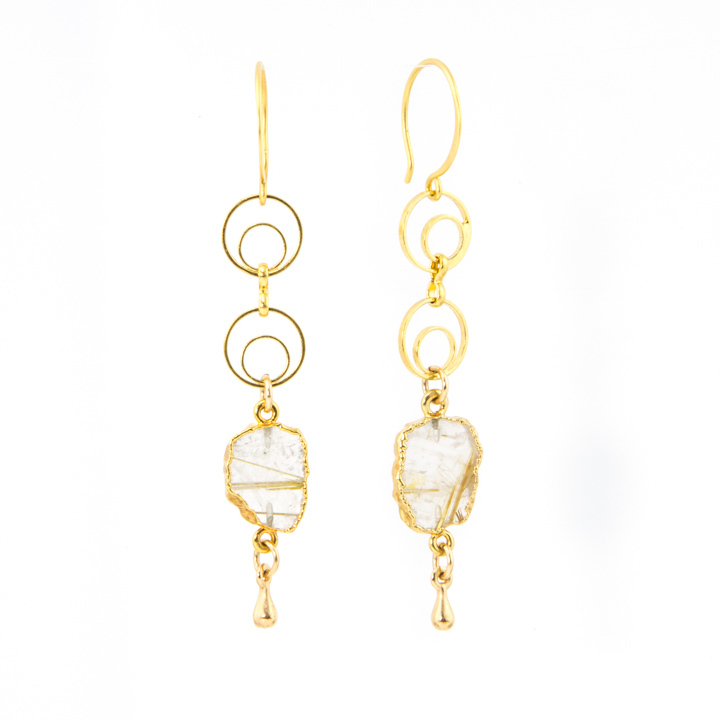 These rutilated quartz gold earrings will light up your day and look great at night too! The earrings are gold, gold and more gold. 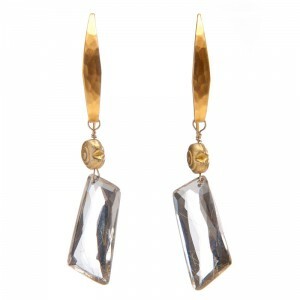 Rutilated quartz is a quartz with needlelike gold rutile embedded in the stone. 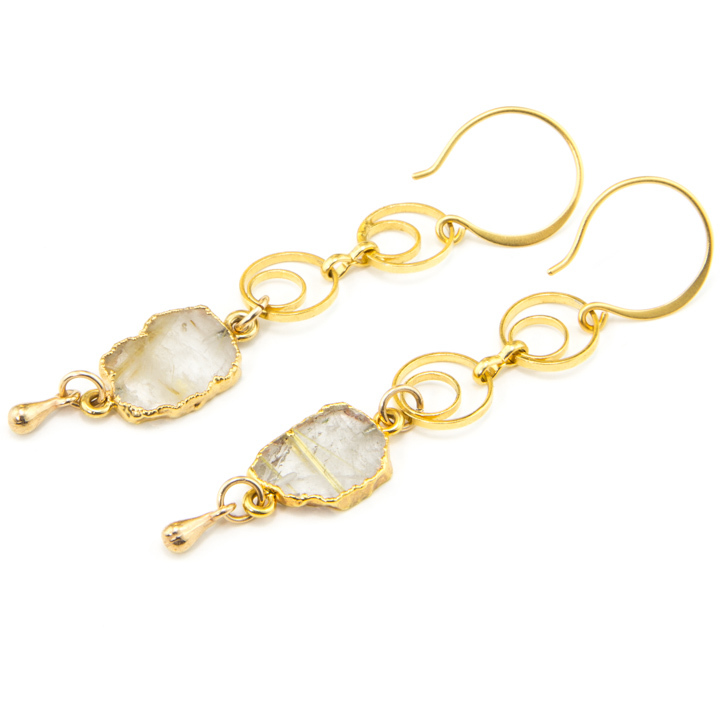 Then these natural stone slices are electroplated with gold. And finally the stones dangle from 18k gold overlay chain. The earring wires are 24k gold plated. Earrings measure approximately 2-3/4″ long. Need more energy? Need more focus? Rutilated quartz may do the trick. 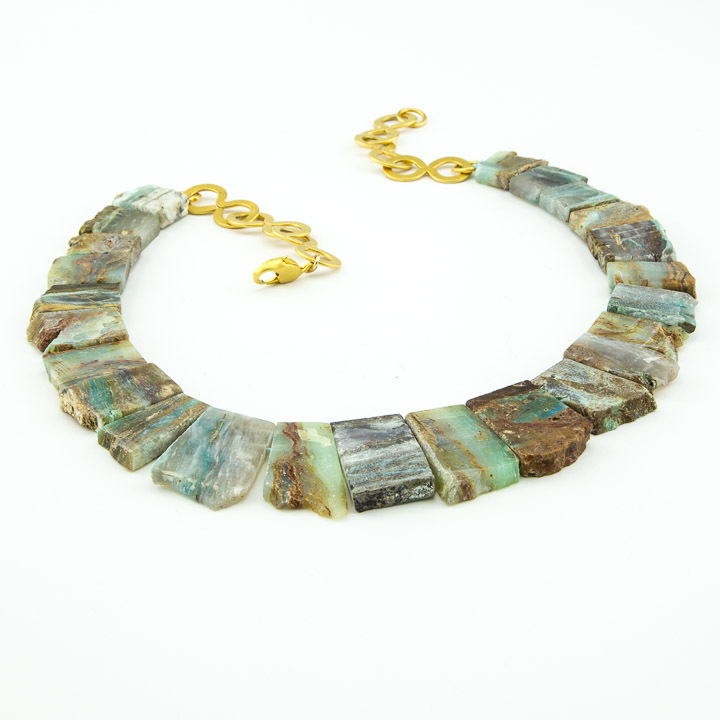 It is known as an energizing stone that helps get energy moving on all levels. It’s also said to attract love and stabilize relationships… you need to get these earrings! Make a statement in these gorgeous, one of a kind pair of earrings! 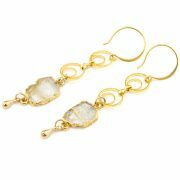 Shimmering and exquisite, the uniquely faceted rutilated quartz stones dangle from shiny hammered earring tops. 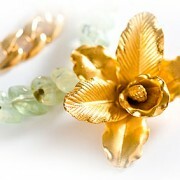 The accent snail bead and earring wires are gold vermeil. Rutilated quartz is unique because the rutile needle-shaped inclusions are a beautiful, translucent, golden-yellow color. The rutilated quartz stone measures 1/2″ wide, 1-1/4″ long. 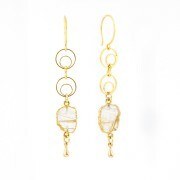 Earrings total drop measures 3″. 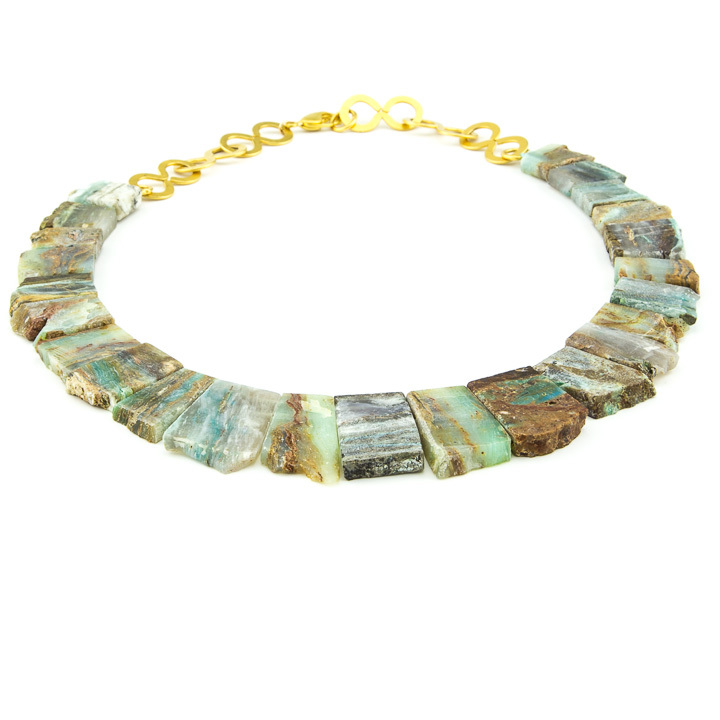 Beautiful natural peruvian opal collar necklace!